At The Philadelphia Jewish Film Festival: Exploring the Subtext of the Jazz Standard "Body and Soul"
Benny Goodman’s recording of Body and Soul, with Black pianist Teddy Wilson, led to the breaking of the color barrier in jazz performance. The complex story behind one of the most recorded songs in the "Great American Songbook" is the basis for a documentary being screened on Thursday, November 9th during this year's Philadelphia Jewish Film Festival. 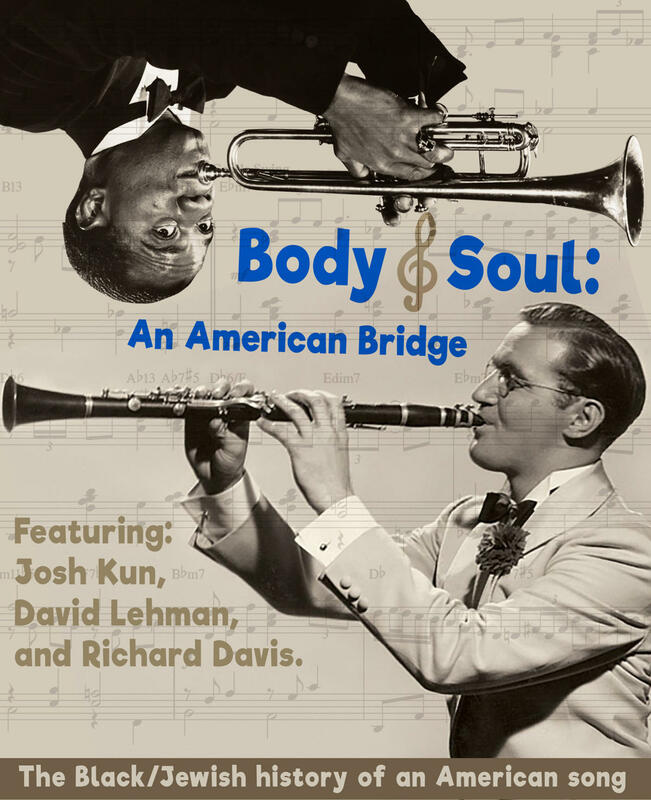 Body and Soul: An American Bridge explores the relationships between African Americans and American Jews through the early history of this jazz standard composed in 1929. It paints an American picture of cross-cultural divides and kinships. This is the first full-length documentary directed by Robert Philipson, an independent filmmaker based in Oakland, California. As a former professor and writer, Philipson covers a subject he’s been interested in and written about for years. He taught African American literature and says, as a Jew, he was constantly struck by the similarities and differences between the Black and Jewish experience in America. When Philipson started researching songs for his project he discovered "Body and Soul" won the award for most-recorded jazz standard of all time. Its innovative melody and lyrics have been a vehicle of expression for musicians from Louis Armstrong to Tony Bennett and Amy Winehouse, and over 3,000 other vocalists and instrumental artists. Here's Coleman Hawkins singing "Body and Soul." 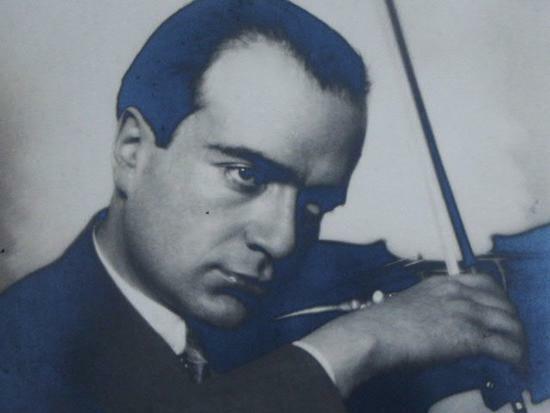 In 1939, his version made jazz history for its advances in improvisation. But the early history of “Body and Soul” reflects more than its musical roots. Philipson says, “When I started doing research into the history of the song, all the flavors of inter-relations of Blacks and Jews were there.” His subtitle “An American Bridge” reflects not only the song’s musical bridge, which has captivated jazz musicians for decades, but also the range of positive and negative connections between Blacks and Jews in the early 1900s. And, says Philipson, there were other key facets of relationships between Blacks and Jews in the world of popular music and jazz: Jews as managers and facilitators of the musical careers of Black performers; and also Jews borrowing or learning performance and musical singing styles from Black performers. 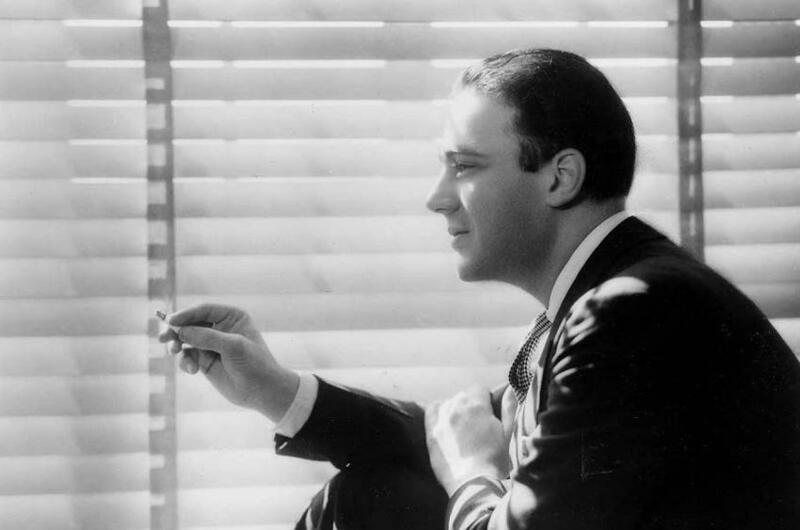 His documentary looks at each of these facets, starting with Johnny Green, the little-known Jewish composer of “Body and Soul.” In his twenties, Green included “Body and Soul” in a package of his songs he put up as collateral for a loan from the popular British singer Gertrude Lawrence. It became a hit in Britain and the Harvard-educated New Yorker, who defied his father’s expectations for a career on Wall Street, moved to California and eventually won five Oscars as an arranger. But it was the Jewish torch singer Libby Holman who made the tune famous on Broadway in 1930. Holman’s dark skin, and singing style led some to suspect she was Black and she imbued her performance of “Body and Soul” with the relaxed approach and tempo favored by Black singers of the day, even performing early on in blackface. Fanny Brice and Sophie Tucker did the same. Perhaps there was a sense of kinship and sympathy with Black performers at a time when Jewish singers were also marginalized and somewhat outcast by mainstream American culture. Libby Holman singing "Body and Soul"
Jazz great Louis Armstrong is credited with catapulting "Body and Soul" to popularity with a 1930 recording that became a hit a couple years later. Armstrong, who wore a Star of David around his neck, had an abiding affection for Jews. It began with his formative relationship with the Karnofskys, a poor Jewish immigrant family in his hometown of New Orleans. It solidified when his long-time manager Robert Glazer starting directing his career, helping Armstrong reach mainstream success in Hollywood, the country, and around the world. Mr. Karnofsky gave young Louis a job on his rag cart. It involved blowing a whistle to announce the cart’s arrival and the Karnofskys would invite Louis, who was living in a home for boys, to eat with them after the day’s work was done. It was Mr. Karnofsky who bought the trumpeter his first horn, securing a promise from the future great that he’d work off the cost. The cornet Louis first spied in a pawn shop window was the beginning of all that followed. 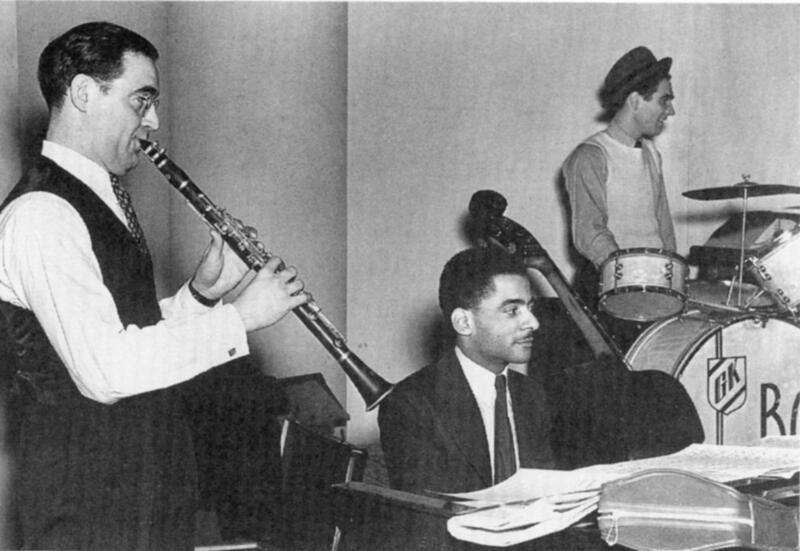 In 1937, a decade before the American military was integrated, and well before Jackie Robinson broke the color barrier in baseball, Benny Goodman, with Black pianist Teddy Wilson defied American cultural norms by performing together in public at Goodman's gig in Chicago's Congress Hotel. It happened after Goodman asked Wilson to record “Body and Soul” with a trio comprising Goodman on clarinet, Gene Krupa on drums, and Wilson on piano. Goodman loved the recording. Initially, Goodman was reluctant to bring Wilson to Chicago. Everybody wanted to play with him, but not everyone was at his level. Teddy Wilson was flown out from New York and started performing regularly with him with tremendous success. The world didn’t fall apart. The place was jammed. "So," says Philipson, “apparently the jazz world was ready for inter-racial performances.” Very shortly afterwards, Goodman hired the vibraphone player Lionel Hampton to be part of his band as well, and the trio, including Gene Krupa, became a quartet. These individual stories and more pervade the complicated and nuanced documentary Body and Soul: An American Bridge, creating a reflection of our culture that at times makes it difficult to look directly into the mirror. The screening is on Thursday, November 9th at 11 am and includes a jazz brunch featuring a Settlement Music School jazz quartet. The 37th annual Philadelphia Jewish Film Festival opens November 4th with the film The Cakemaker, a love story beginning with a pastry chef working in Berlin. On closing night, November 18th, the movie Harmonia features a complicated love triangle and fraying family ties against the strains of the fictitious Jerusalem Philharmonic. In between, there are feature length films and shorts. There are other documentaries. Among them: Bombshell: The Hedy Lamarr Story, about the life of the Hollywood star who possessed a scientific mind and inventiveness that extended far beyond her popular persona. Check it out: The Philadelphia Jewish Film Festival (November 4—19) features 35 films from 20 countries at venues across Philadelphia and the suburbs, with screenings at the Gershman Y, The National Museum of American Jewish History, the University of Pennsylvania, and theaters in Philadelphia, Narberth, Jenkintown, Bryn Mawr, and Ambler. Details here. This week on Crossover, a look at the struggles of the oppressed in the 1930s, and the music that helped people thrive despite those struggles. Join us on November 9th at 11:30 am. Our first guest is Dorit Straus, daughter of David Grunschlag, virtuoso violinist and the first concertmaster of the Israel Philharmonic Orchestra. Ms. Straus speaks with Jill about her father and the events that put him in that very important concertmaster's chair. We'll hear two vintage recordings made in 1949 from a radio program in New York on which Mr.